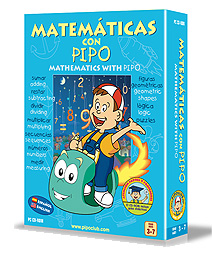 Children are introduced to the realm of math in a way that is enjoyable and motivational. Children will be stimulated to learn new concepts in an intuitive way, making math learning one of most entertaining subject in the curriculum. Each activity contains a different level of difficulty; your child will be able to note their progress with each level. 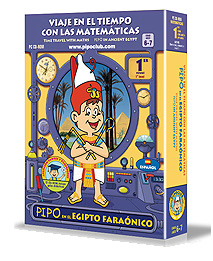 Presented in Ancient Egypt, First Grade Math with PIPO allows your child to travel in time, learning Math while presenting ancient cultures. Children will benefit from learning a variety of math operations such as addition, subtraction, division, multiplication, mental calculations, practice addition and subtraction mentally, create and recognize numbers, etc. 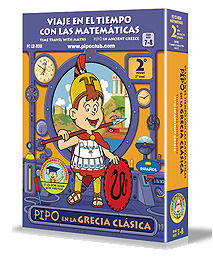 Presented in Ancient Greece, Second Grade Math with PIPO allows your child to travel in time, learning Math while presenting ancient cultures. Children will become familiar with Math operations, addition, subtraction, multiplication table, division, mental calculations, geometric shapes, the different value of coins, etc. Each activity is modified to each schooling level. 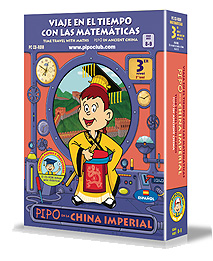 Presented in Imperial China, Third Grade Math with PIPO allows your child to travel in time, learning Math while presenting ancient cultures. Children will become familiar with Addition, Subtraction, Multiplication, Division, Currencies (euro and dollar), Numbering systems, Roman Numerals, Graphics, Working with forms, angels, polygons, circles, volumetric bodies and fractions. 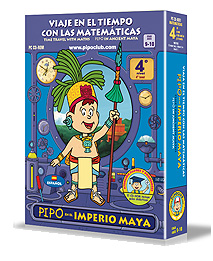 Presented in Imperial Maya, Fourth Grade Math with PIPO allows your child to travel in time, learning Math while presenting ancient cultures. Children will become familiar with different Math operations such as Addition, Subtraction, Multiplication, Division, Currencies, Numbering systems, Roman Numerals, Graphics, Working with forms, angels, polygons, circles, volumetric bodies and fractions. 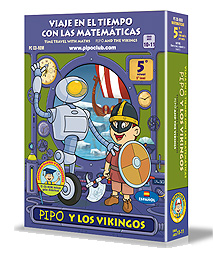 Presenting the Vikings, Fifth Grade Math with PIPO allows your child to travel in time, learning Math while presenting ancient cultures. Children will be working with different lessons such as math operations such as Adding, subtraction, multiplication and division, graph charts, mass and capacity, probability, expressions, Roman numbers, fractions, numbers volumetric bodies, surface, polygons, angels, etc. 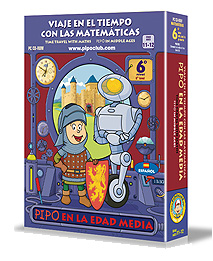 Presented in the Middle Ages, Sixth Grade Math with PIPO allows your child to travel in time, learning Math while presenting ancient cultures. Children will become familiar with Measurements, volume, Length, Graphics chart, mass and capacity, equivalent, probability, expressions, Roman numbers, fractions and decimal numbers, numbers, volumetric bodies, surface, polygons, perimeters and angles, etc.